The CS brand is a well-known community symbol. While it may stand for Calgary Stampede, it’s also come to symbolize our Community Spirit. A spirit that defines our city and our brand, that is fuelled by volunteerism, provides opportunities for youth and creates a lasting economic impact in our city. 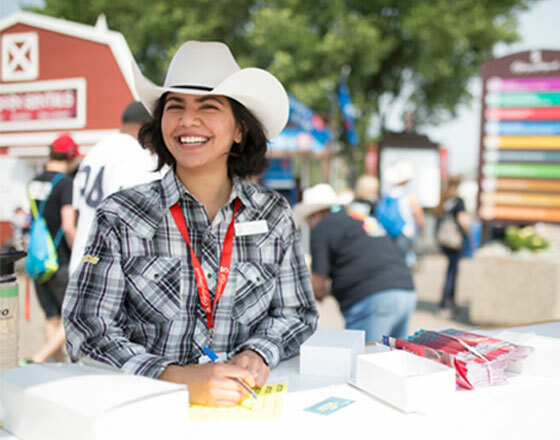 At the heart of the Calgary Stampede, you’ll find more than 2,500 dedicated volunteers. They embody western values by hosting events across the city, supporting community celebrations and making the Calgary Stampede The Greatest Outdoor Show on Earth. The organization is governed by an unpaid, volunteer board of directors who individually give more than 300 hours of their time each year. 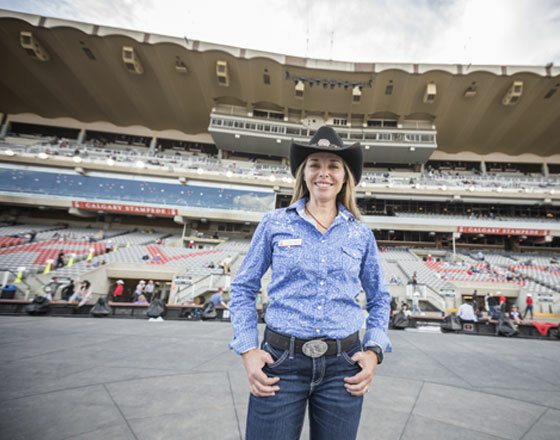 Beyond The Greatest Outdoor Show on Earth, Stampede Park hosts more than 1,200 business, tourism, sporting, hospitality and community events every year, welcoming more than four million guests from every corner of the world. Together, these events generate over $400M in economic benefit for our community. 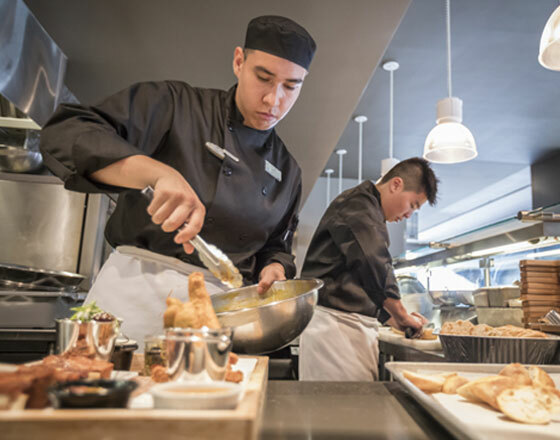 Each year the Stampede creates over 3,500 seasonal jobs, giving many young Calgarians their first opportunity to join the workforce, providing crucial skills and experience for the future. These seasonal employees join our 1,500 year-round employees, finding meaningful employment across a broad range of jobs. Through classroom training and interactive hands-on experiences, local students are given the unique opportunity to learn about food sustainability, land and ecosystem management and animal care. 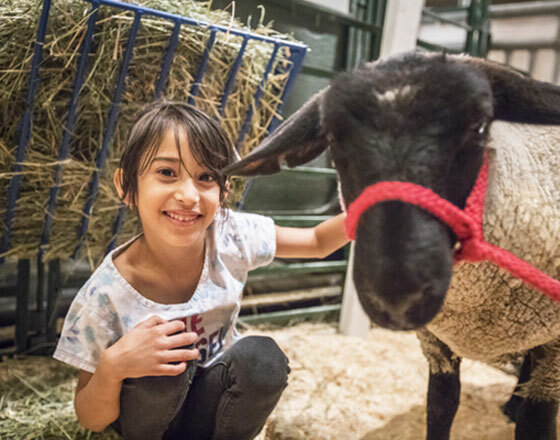 Every year, these programs connect more than 50,000 youth across Calgary and southern Alberta with our rural roots. 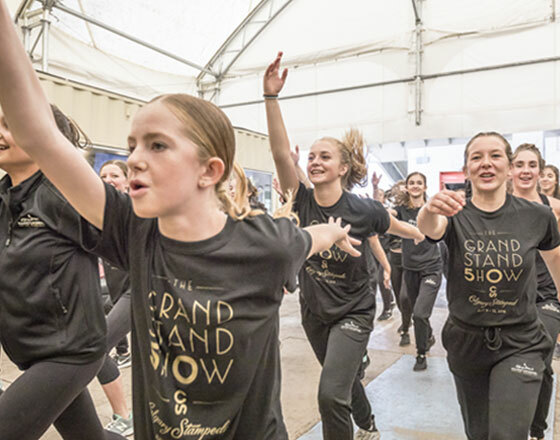 The Calgary Stampede provides young people with opportunities to pursue their passions in the performing arts through programs like The Young Canadians School of Performing Arts, Calgary Stampede Showband, Band of Outriders and Calgary Stampede Showriders. These programs teach valuable skills and allow the opportunity to perform around the world. In addition to these programs, students in our community have access to the state-of-the-art Youth Campus – featuring indoor and outdoor classrooms, world-class training and performing spaces, and the home of the TransAlta Performing Arts Studios and Calgary Arts Academy.